The Crooked Banana: Back to Swooning... again! I just finished it up before work over a cup of coffee :) You can just see in the top of the picture the pieces cut and ready to go for the next one! Hoping to whip that up this weekend, too. 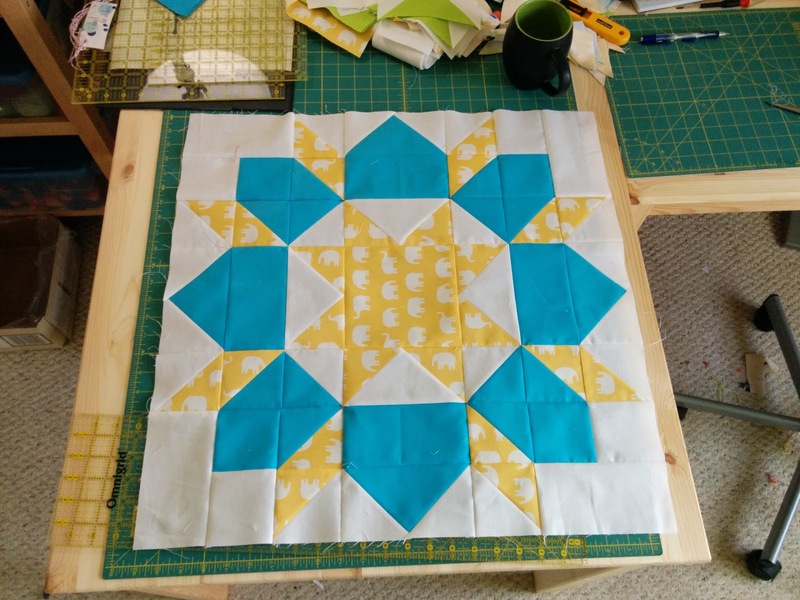 And maybe, MAYBE get the fabric cut for the last two blocks. What are you working on this weekend? Linking up to Sewjo Saturday with Kim at My Go-Go Life! That is a beauty and so sunny. I hope to see more. I like the colors in your Swoon quilt. I'm excited to see your swoon finished! Then we shall be swoon sisters. Your fabric pulls always make me smile. I'm working with your traveling quilt right now, and the colors are super rad.